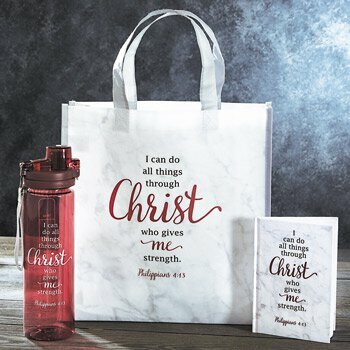 The I Can Do All Things collection was designed around the ever-popular Bible verse Philippians 4:13 - one of the most quoted Bible verses of the Christian faith. It promises that Christ can give contentment during times of plenty and times of strife. The everyday gifts in the collection will help to remind you that Christ is sufficient and you can make it through life's challenges with His strength. Tote features a laminated body with a reinforced bottom and 3-3/4" gusset. 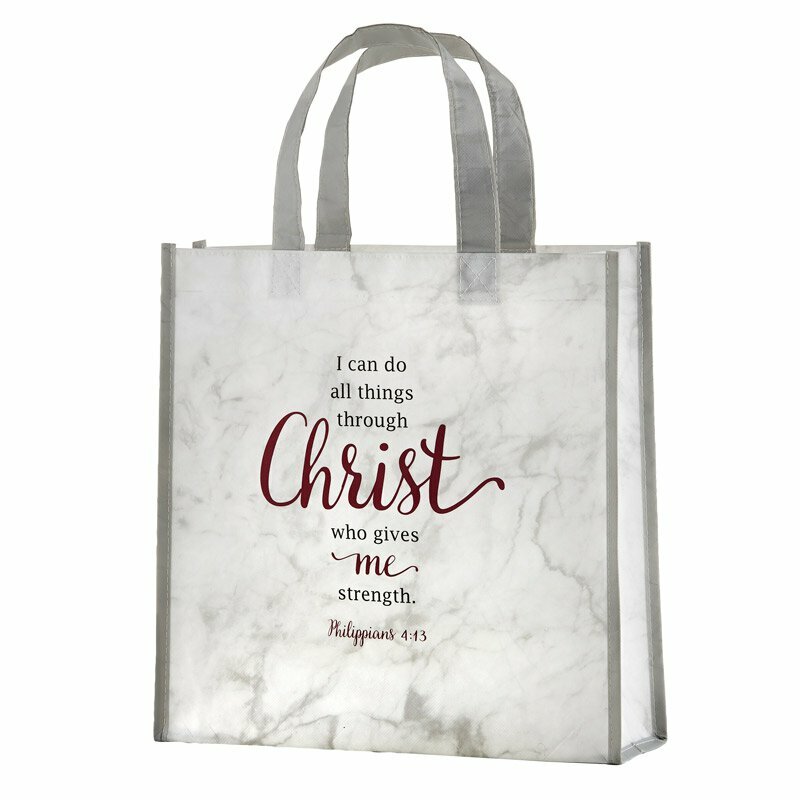 Perfect for shopping trips and carrying books and accessories to Religious Education classes or Bible study.